The State is pleased to announce the awarded FY2019 Competitive Commercial projects. The purpose of state and federal preservation tax incentives is to encourage private sector investment in the rehabilitation and re-use of historic buildings and to promote investment in local economies. 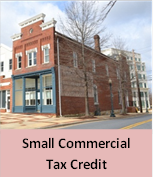 If you own a certified historic property in Maryland, you may have the opportunity to earn a state income tax credit on qualified rehabilitation expenditures. Whether you are planning to rehabilitate your primary or secondary residence or a commercial property, there are state incentives that may help. Select a project type for more information. For the past 17 years the program has played a key role in community revitalization by supporting the rehabilitation and reuse of underutilized historic properties across the state. The program is credited with rehabilitating about 4,400 historic buildings and creating some 25,000 jobs since its implementation in 1996. The state’s investment of about $350 million has reached into all of Maryland’s 23 counties and the city of Baltimore. The Abell Foundation has estimated that about 73 jobs are created for each $1 million in tax credits and every dollar invested generates $8.53 in economic activity. 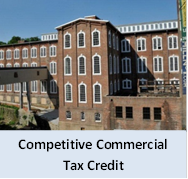 For general information about the Rehabilitation Tax Credit Program or to check the status of your project, contact Bonnie Baden, (410) 697-9535 or Megan Klem, Tax Credit Program, Preservation Officer, at 410-697-9560.